The Municipal Art Society of New York (MAS) was founded four years prior to the adoption of New York City’s first Charter in 1897. Throughout our long history of advocating for sound land use and planning policy, MAS has provided input on the various City Charter revisions. From a historical perspective, we find that many issues relevant over one hundred years ago remain central to the City Charter and its subsequent revisions today. New York City Hall. Photo: Wikimedia Commons, MusikAnimal. For 125 years, MAS has worked to educate and inspire New Yorkers to engage in the betterment of our city. We believe the best advocates for the city are its citizens. Currently, there are several offices charged with supporting civic engagement of various types but they are disparate and uncoordinated. As a result, one agency’s efforts may proceed without considering relevant community comments and concerns that have been contemplated by another agency, process, or initiative. A citywide strategy to document, assemble, and communicate all of these efforts should be established in the Public Advocate’s office. New York City’s 59 Community Boards are critical to meeting the goals of civic engagement and must be truly representative of the citizens they serve. MAS agrees with proposals for a standardized application form and selection process overseen by the Public Advocate’s office, addressing discrepancies between Community District and Community Board demographics. In addition, term limits allowing members to serve a reasonable number of consecutive terms, followed by a term of absence and re-application should be implemented. However, we disagree with a proposal for Mayoral or business-led appointments of members because it will skew the in balance of interests away from the public. In order for each Community Board to be successful, operational budgets should be increased and staffing must include a District Manager, a full-time planner, and support staff. Board members should be required to attend an annual, standardized training on the fundamentals of city government and land use planning in New York City. Community Boards also need funding to increase public awareness of meetings through enhanced outreach in a variety of platforms and languages. The provision of childcare, interpretation, and refreshments may further reduce barriers to participation. The creation of a uniform online platform for all Community Boards would increase transparency, and could perhaps facilitate virtual participation. The current Districting process does not provide sufficient independence from political interests. MAS agrees with proposals that would take appointments to the Districting Commission out of the direct control of elected officials, prohibit former elected officials from serving on the Commission, and remove the ability of the City Council to veto the Districting Commission’s plan. Moreover, the population is growing. By the 2020 census, the city will be home to nearly 9 million New Yorkers and the existing 51 Council Districts will represent close to 180,000 residents each. For reference, Chicago, Boston, and Philadelphia have Council Districts each containing approximately 55,000 residents. MAS supports the idea of having Council Districts roughly match the population of State Assembly Districts, which represent approximately 120,000 people each. Under this scenario, the city would have about 70 Council Districts. This would provide the benefit of having a local government that is closer to the people it is representing. 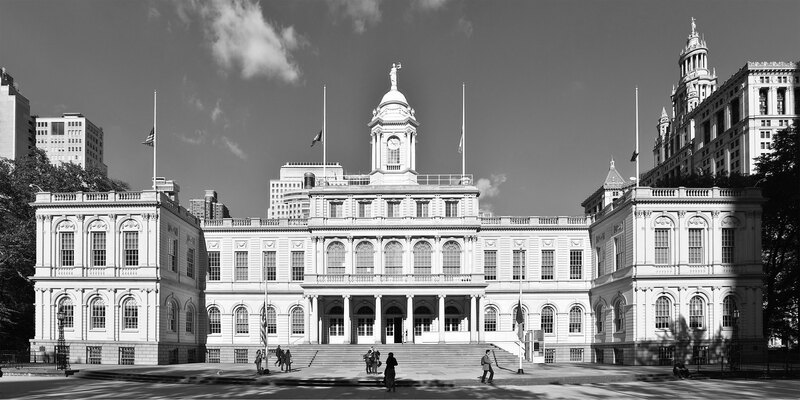 Although the city’s current population deviation of less than 10 percent satisfies the requirements of both the Fourteenth Amendment and the current City Charter, MAS believes that such a percentage is too high for a diverse municipality like New York City. We support the idea of decreasing the maximum population deviation between districts to 5 percent or 6 percent. MAS is also concerned about the negative effects of a potential population undercount in the 2020 census. We agree that the City Charter should mandate that all relevant City agencies promote and facilitate robust outreach and engagement around the upcoming census. We are disappointed to find that land use was an area deferred for future consideration and not comprehensively addressed by this Commission. Nonetheless, we offer testimony on this important topic. The current land use processes do not adequately facilitate community input, prioritizing short-term concerns over long-term community planning. MAS believes that the City should shift from a focus on application-based decision-making toward a “community-based” land use planning process. Each community must accept its fair share of necessary development, without evading its role in meeting the municipality’s fundamental social, physical, and economic needs. To effect such a change, the City has to trust that the citizenry, given greater responsibility, can rise to future challenges. Aligned with such an approach, the City must initiate a renewed focus on the creation of community-based 197-a plans. This can be partially achieved by creating an Office of Community-Based Planning within the Public Advocate’s office, to assist communities in land use and planning. The City Charter can also strengthen mitigation requirements for environmental review by making such an office responsible for conducting the environmental review of a plan initiated by a Community Board or other local organization. In addition, the City Charter must require that Community Boards present district-wide plans on a regular basis, at periods yet to be determined. Moreover, land use proposals submitted by private applicants should be required to conform to local 197-a plans or district-wide community plans. The City Charter should also regulate the pre-ULURP phase by requiring pre-ULURP meetings to be publicized and applications to be disclosed. In addition, the City could also require follow-up technical memoranda to resolve disputes after the approval of an Environmental Impact Statement, triggered whenever a determined number of resolutions from the Community Board, Borough President, and City Planning Commissioners have expressed disagreement with EIS conclusions. The City should also establish penalties for misrepresentations and inaccurate information in project applications (including EISs, building permit applications, and documentation submitted to the Board of Standards and Appeals). MAS is opposed to the idea of streamlining the land use process by amending the Charter to allow City Planning Commission (CPC) to make final determinations on all administrative land-use permits, such as certifications, authorizations, and special permits. MAS is also deeply concerned that this idea would remove the role of the City Council from the CPC Special Permit process. MAS is also opposed to unnecessary changes to landmark designation procedures that would involve the CPC. Even more distressing is the idea of reorganizing the Landmark Preservation Commission (LPC) as a division of the Department of City Planning. MAS believes that the landmark designation process should remain entirely within the scope of an independent LPC. Improving the ability of communities to advocate for a more livable city has been part of the mission of MAS for decades. We believe that the integration and availability of civic engagement information, the structure and prominence of the community board, and the determination of districts is integral to achieving that goal. Since the release of our Accidental Skyline report in 2013, MAS has been raising the alarm about the need for new rules and regulations to protect public assets like light, air, open space, and the character of the city’s neighborhoods from out-of-scale development. As development pressures mount and communities are faced with the long-term impacts of the City’s land-use decisions, Charter revision comes at a critical time for New York.